He had been a fruit and vegetable merchant in the Queen Victoria Market for 15 years. In 1959, he was commissioned Justice of the Peace, and was Australia’s first Italian born elected Representative as a Councilor for Brunswick in 1964. Originally located opposite the market, on the corner of Victoria and Peel Streets, West Melbourne, the company relocated to 6 Errol Street North Melbourne in 1954 where it remained until 1992, when it moved to its current address. 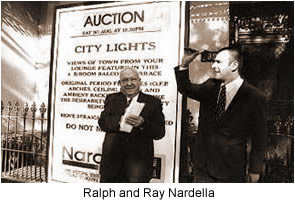 Ray Nardella joined the firm in a full-time capacity in 1987, after completing a study/holiday trip to Europe. Ray blended creative, modern marketing techniques and a culture of continuing professional development into the mix of knowledge and experience the company had already established. The result is now a service without peer for the inner-city.